Tim Robertson has produced another outstanding sprint performance, finishing 8th in the first race at World Cup Round 1 being held in Finland. Tim was about 30s behind winner Yannick Michiels who gave Belgium their first ever victory in a World Cup race. Tim had earlier qualified easily in joint 15th place out of nearly 120 in the morning qualification. The two NZL women, Laura Robertson and Kate Morrison both failed to make the cut of 40 for the final, finishing 54th and 74th respectively in the qualifying race, again in a field of nearly 120. Women: 1. Maja Alm (DEN) 12-18, 2. Tove Alexandersson (SWE) 12-28, 3. Lina Strand (SWE) 12-43. In Thursday’s sprint relay the Mix team of Laura, Tim, an Australian and Kate were disqualified and do not figure in the results. The races continue with a middle distance on Saturday (overnight Saturday/Sunday NZ time), and a long distance on Sunday. 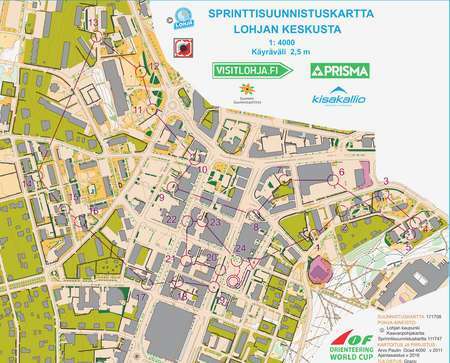 IOF offer live coverage for EUR 4 at https://liveorienteering.com/#/event?id=5395 and World of O website (http://worldofo.com/) has tracking replays of all the finals.